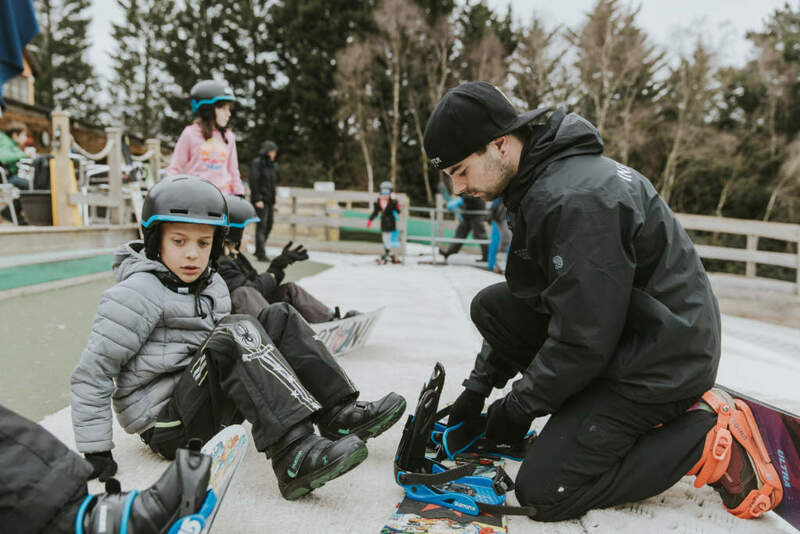 These lessons are specially designed for children aged 4 – 7 years old looking to experience snowboarding for the first time. 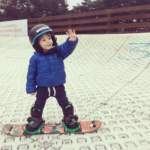 Children are guided through a specially designed program so kids learn and enjoy there first experience of snowboarding. They will get the feeling of sliding and balance and progress through our levels with one of our fully trained instructors. Selecting your child’s ability level is very important, if you’re not sure then please ask at the time of booking & we’ll help get your kids in the right group. Being on a lesson of the correct standard will greatly enhance enjoyment of the lesson. The instructor will start off with simple straight running exercises and continue with introducing side slipping heel/toe edge. This class will take place on the nursery slope. 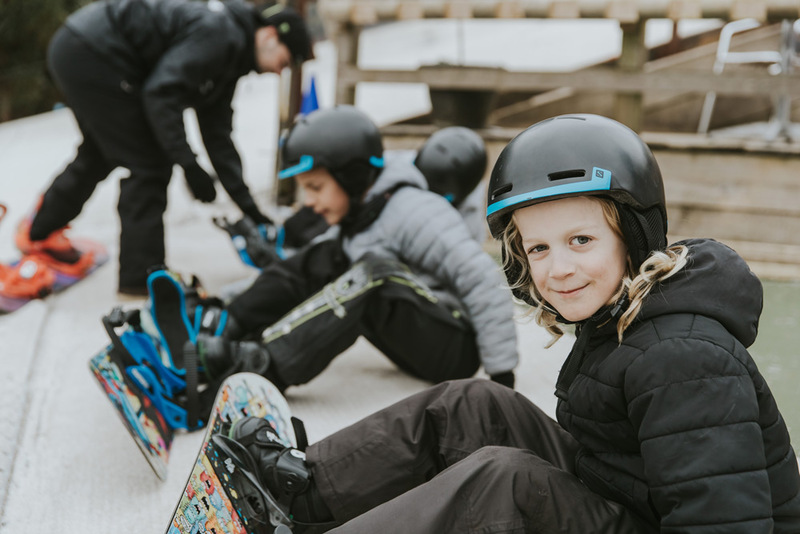 This class is suitable for children who have no previous experience with snowboarding. This level may need to be repeated a number of weeks before moving up to intermediate. At this stage to move up from beginners, children must be able to control a heel and toe edge. Instructor will introduce diagonal side slips and J turns. Children will also learn toe and heel edge to fall line. This class will take place half way up the travellator slope. To move into advanced, children must be able to complete previous requirements. Instructors will Introduce C turning and S turning from the top of the travellator slope.